7 Kids and Us: Save an extra 15% on sale items at Layla Grace! 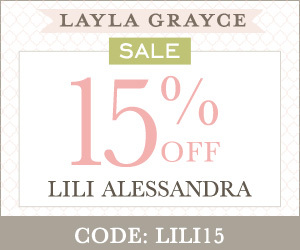 Layla Grayce has an amazing sale right now! Save an additional 15% off already reduced sale items with code EXTRA15. Don't miss your chance to shop furniture, home decor, fashion, baby and more with prices as low as $5! Find the items you'll love at prices you adore. Happy Shopping!